How many times have you heard your parents or teachers say, “we have two ears and one mouth so that we can listen twice as much as we speak”? In today’s society, it is becoming more and more evident that people don’t listen. We live in a world where everything needed to happen yesterday and as a result, people are operating at a level where we either have no patience to hear what people have to say or we don’t take the time to truly understand what they are saying. There are many occasions when I realize I am having a conversation with someone and I think to myself, Geez! This person is not listening to what I am actually saying. This is obvious in their body language and in the way they respond. Don’t get me wrong, I have definitely been guilty of being a terrible listener, although in saying that, I have made a conscious effort to be a more effective listener. Working from a coworking space has helped me hone in on my listening skills. There’s always room for improvement and I believe that everyone can always improve on their ability to actively listen. “Most people do not listen with the intent to understand. Most people listen with the intent to reply”. It’s important to ask yourself if you’re truly listening to what others are saying or if you’re being distracted by a pre-conceived answer based on an assumption that you already know what the person is going to say. If you’re willing to listen, everyone has a story to tell. There have been many occasions where I think I have heard something before and almost go into auto pilot with a response. I have learnt to let my curiosity take over and see where the conversation is going to go. You’ll be surprised, there are many times where I’ve learnt something new. Listening effectively is giving your undivided attention. It means that you listen with more than just your ears. Communicate with your eyes, heart and body language. The more you use it, the more it develops. This doesn’t mean that the more you use it, you will automatically become a better listener, but it’s a great start. 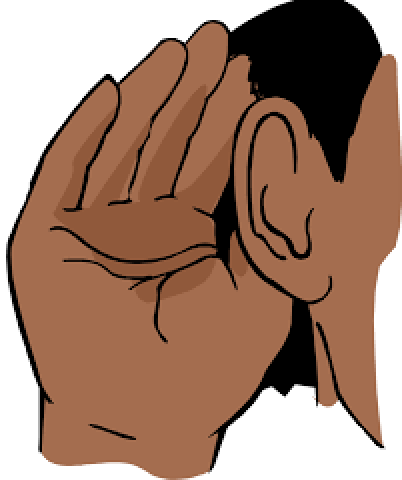 By making a conscious effort to be a more effective listener will train your brain to be so. As an entrepreneur, I pride myself on being a good a leader. It’s essential to listen to your employees, shareholders and most importantly your customers. By listening to what they have to say, you can grow your business and become a great leader. I challenge you to take notice of your behaviour next time you’re engaging in a conversation. It’s an eye opening experience, very quickly you realise whether you are a good, moderate or a bad listener. You will start to take notice if you are making assumptions or interrupting the person speaking and with that allows you to take the steps to move towards being a more effective listener.